Joice Truban Curry founded c3 Communications, Inc. (c3) in 2000 an award-winning public relations agency, with services ranging from media relations, crises communication, community relations, corporate positioning, social media management and digital media/reputation management. Joice creates and leads programs for clients spanning the arts, education, hospitality, tourism, retail, business-to-business, restaurant, consumer product, non-profit, wellness, health care and entertainment industries. Joice is active in the industry and community. 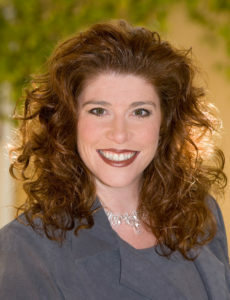 She is a two-time past president of the San Diego chapter of the Public Relations Society of America (PRSA) and past chair of the national PRSA Honors and Awards Committee. She also volunteers for Salvation Army locally in San Diego. In addition, Joice has been recognized by clients, media and industry peers alike, winning awards including the PRSA San Diego Chapter Eva Irving Award (community service), Public Relations Professional of the Year by the San Diego Chapter of PRSA, earning three national PRSA Silver Anvil awards and being named one of San Diego Metropolitan Magazine’s top 40 outstanding community leaders and a Visionary in Philanthropy by the Salvation Army. Joice’s creativity, energy and public relations savvy helped grow c3 from a one-person shop into one of San Diego’s most successful agencies.